NAMI Tennessee is a statewide membership-based organization that advocates for improvements to mental health policy and to the systems of care for those affected by mental illness. We provide grassroots leaders with the tools, resources and skills necessary to take action to address mental health in our communities. NAMI TN believes that the individuals and families most directly affected by mental health policy decisions should be leaders in creating solutions. We advocate for all those affected by mental illness in Tennessee and strategically focus on serious mental illnesses and underserved populations, particularly people who are difficult to engage in treatment, experience homelessness, or are involved in the criminal legal system. Everyone who experiences mental illness deserves the right mental health services and supports at the right time. With those key supports in place, recovery is possible. Unfortunately, many Tennesseans who experience mental illness or mental health problems lack access to the services and supports they want and need. 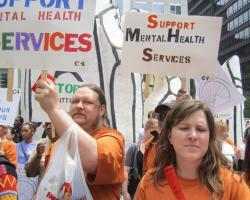 Protecting and expanding access to mental health treatments and services. Achieving mental health parity that ensures mental illness is treated equally to physical illness in TennCare and private insurance plans. Attend NAMI TN’s 2019 Day on the Hill. Join us in Nashville for our Day on the Hill and grassroots training at the Cordell Hull Building on Wednesday February 20th at 10am! For details and registration, click here. Contact your local affiliate about volunteering. Local affiliate advocacy representatives can connect you to local and state advocacy activities. Join our Advocacy Network. If you sign up, you may receive communications from us asking you to write letters/emails, make phone calls, or participate in actions in support of one or more of our legislative or advocacy issues. NAMI Smarts for Advocacy. Contact us to learn how to participate in or host a hands-on advocacy training program that helps people living with mental illness, friends and family transform their passion and lived experience into skillful grassroots advocacy. Raise awareness during Mental Health Month, Mental Illness Awareness Week, National Minority Mental Health Month and Suicide Prevention Awareness Month. Learn more about NAMI National’s legislative and public policy priorities. 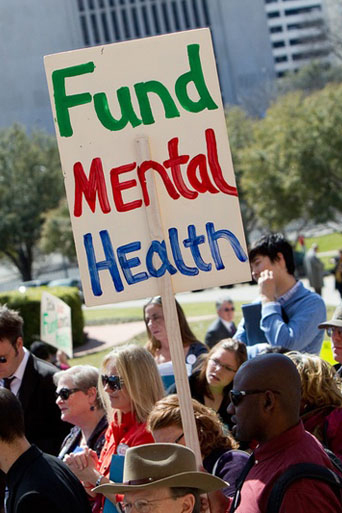 Ensure enforcement and implementation of mental health parity laws. Public awareness events and activities, including Day on the Hill (DOH), Mental Illness Awareness Week (MIAW), Vision of Hope Gala, NAMI Radio, NAMIWalks and other efforts, successfully combat stigma and encourage understanding. NAMI works with journalists and the media on a daily basis to make sure our state understands how important mental health is. NAMI Tennessee works with other state and national organizations to further mutual objectives in legislative action and public education. Starting in 2015, Alpha Kappa Alpha Sorority, Inc. (AKA) and NAMI, the National Alliance on Mental Illness, have worked together to increase mental health awareness in the African American community. AKA Chapters work with NAMI State Organizations and NAMI Affiliates to educate African Americans about mental health, treatment and recovery. Together, we can help communities access much needed treatment services and support. HOSA-NAMI Partnership HOSA (Health Occupations Students of America) – Future Health Professionals and the National Alliance on Mental Illness have a partnership which focuses on engaging youth around mental illness. 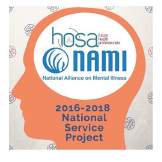 HOSA and NAMI are working together to expand mental health education & awareness and to support activities that help improve the lives of individuals and families affected by mental illness. Local HOSA chapters and NAMI affiliates plan activities that include fundraising, community service projects and volunteer hours. 225,000 HOSA members across the country will receive information on mental health issues and, at the same time, raise awareness in 4,500 HOSA chapters, while providing an avenue for students to take action and make a difference through a NAMI walk or another fundraising effort. Opportunity Starts At Home is a long- term, multi-sector campaign to meet the rental housing needs of the nation’s low-income people. Housing affordability is central to other national priorities, like health care, food security, education and more. Yet the gap between rents and incomes is growing, and this is compounded by unprecedented threats to federal housing assistance. Proven solutions to ending homelessness and housing instability exist – what’s missing is the political will to provide resources that will put these solutions into practice in communities across the nation. 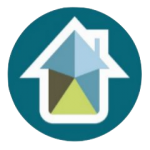 The National Low Income Housing Coalition launched the Opportunity Starts at Home campaign together with the Center on Budget and Policy Priorities, Children’s HealthWatch, Make Room, and the National Alliance to End Homelessness, and with a steering committee of partners including NAMI. 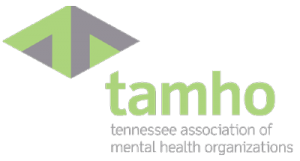 The Tennessee Association of Mental Health Organizations (TAMHO) is a statewide trade association representing Community Mental Health Centers (CMHCs) and other non-profit corporations that provide behavioral health services. These organizations have historically met the needs of mentally ill and chemically dependent citizens of Tennessee from all age groups and socioeconomic levels. TASMIE supports excluding people with severe mental illness from the death penalty. This exclusion should be determined on a case-by-case basis and will affect only those with the most severe mental illnesses. These individuals would be eligible for other sentences, including life without parole. A partnership of 29 mental health advocacy organizations across Tennessee ensuring mental health and alcohol and drug treatment and support services are accessible to all individuals, regardless of age, and maintained at a funding level that assures quality care to those in need. 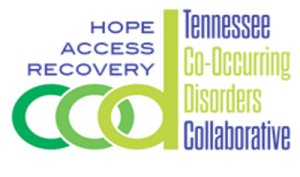 The Tennessee Co‐Occurring Disorders Collaborative strives to create a common understanding of the impact and treatment of co‐occurring disorders in our communities and to share knowledge about the conditions and available resources, reduce stigma, and accurately direct people to timely and effective prevention, treatment, and support. The Tennessee Parity Project is a coalition of behavioral health advocates, providers, and those with lived experience working statewide for fairness and equity in mental health and substance abuse services. Launched in 2016 by NAMI TN with support from The Healing Trust, the Project is dedicated to educating peers and providers to exercise our parity rights and to strengthening parity enforcement in Tennessee. If you sign up, you may receive communications from us asking you to write letters/emails, make phone calls, or participate in actions in support of one or more of our legislative or advocacy issues. NAMI does not sell, rent or exchange email addresses to anyone for any reason. What kinds of volunteer activities are you interested in?